Malware Killer is the nuclear option that finds and removes dangerous malware from already-infected computers. Your AV protection is like the pest traps that keep invaders out. Malware Killer is the home visit from the Exterminator. 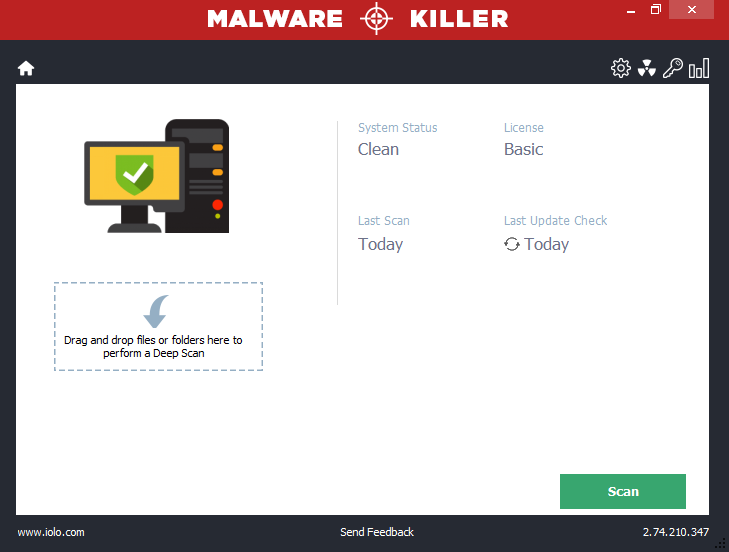 Discover and remove dangerous malware with Malware Killer. Whenever Malware Killer finds suspicious samples, they are sent to the Scan Cloud Sandbox where they are safely analyzed, after which the malware detection engine is immediately made all the more powerful. Malware Killer then shares this increased detectability with all of its users, even on machines where the Scan Cloud functionality is turned off.